Congratulations to James Smith, Jason Severs, John Tierney, and Kevin Salys, the 2016 recipients of the Mike O’Leary scholarship. They will be attending their Level 2, Level 1s, and Level 3 in 2016! Avalanche education is not always easy to afford and/or travel to. 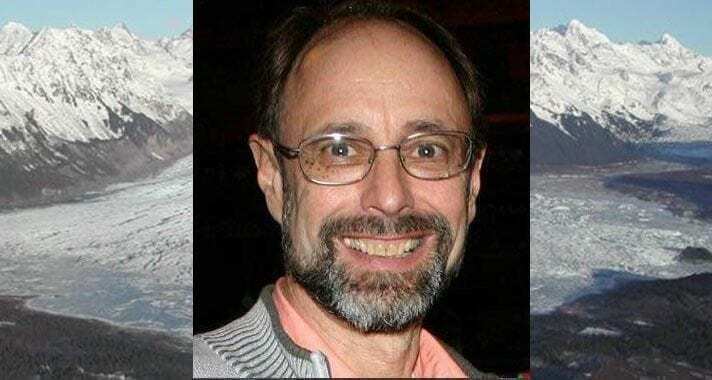 The Mike O’Leary Scholarship is for individuals living in rural areas of Alaska who would like to participate in a formal avalanche course, but are not in the financial situation to afford the cost of full tuition and/or travel to attend a course. The Michael O’Leary scholarship is to help Alaskans attend formal avalanche courses: workshops, Level 1, Level 2, or Level 3 within Alaska. Applications are taken throughout the year, with awards announced December 31 and March 31. The amount of scholarship assistance will be determined by number of applicants and the cost of the course they are planning to attend. Preference will be given to Cordova residents and other rural Alaska residents. This scholarship fund is maintained through the hard work of volunteers running fund raising events, and by the generosity of donors. We thank each and every one who gives, keeping this fund sustainable. Michael Charles O’Leary died March 8, 2008, in an avalanche on Mount Eyak in Cordova, Alaska. He was 56. A third-generation Alaskan raised in the woods and mountains of Moose Pass, Girdwood, and Anchorage, Mike’s trademark grin was as wide as the wild country he moved through with consummate grace and skill. Mike learned the avalanche business from his snow ranger father, Chuck O’Leary. A keen observer respected for his intimate knowledge of snow and weather conditions, Mike was the avalanche forecaster for the city of Cordova and the Cordova Electric Cooperative. Cordova is a small town surrounded by big mountains. There has likely never been anyone in Cordova who knew those mountains better than Mike. He climbed every peak in the vicinity that afforded lines of descent and skied with a passion that reflected the beauty he found in the mountains. Devoted to teaching others, Mike trained hundreds of snow enthusiasts in avalanche rescue and hazard evaluation. More than 35 years after Mike first came to Cordova to work a temporary job, it is impossible to walk through town without seeing tangible evidence of his creativity, competence, and energy. One of his favorite projects was the ski hill on Mount Eyak. He repeatedly nursed the ski lift – the vintage single chair from Sun Valley, Idaho – back to health. O’Leary expanded the ski area by 40% when he cut a half-mile trail and opened up the “Dark Side” of the mountain. In a 1998 citation for Cordova’s Citizen of the Year award, Mike was touted as the “ambassador of the ski hill” for helping young and old discover the joys of skiing. Mike not only championed resource and habitat issues but also put his back into physically rebuilding lakeshores and streambeds. Mike’s trailbuilding skills were legendary, earning him not only awards but the gratitude of all those who love to hike. At the time of his death, Mike was vice-mayor of the city and a visionary member of the city council. It is not surprising that when, in the early 1980s, Mike and Michelle found the perfect spot on which to build a home, it required that they first build a half-mile trail through the rainforest. With a salmon creek on one side of the peninsula and ocean lapping the other shores, their home is a sanctuary where the light is always changing, and the sea otters are never far. It has been a beacon for family and friends of all ages. All it takes to get a sense of how close they lived to land and sea is a look inside their freezer, reliably packed with moose, deer, salmon, halibut, black cod, and berries of all shapes and colors. Posted in AAIC News & Announcements, Memorials & Scholarships, Valdez News. Working hard to make this the supreme avalanche forecast site in the State of Alaska.